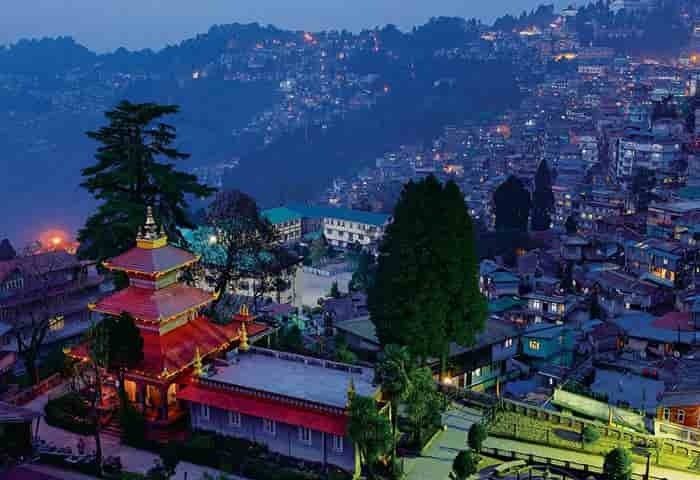 In short, Darjeeling is one of the prettiest hill stations in India located in northern part of West Bengal. 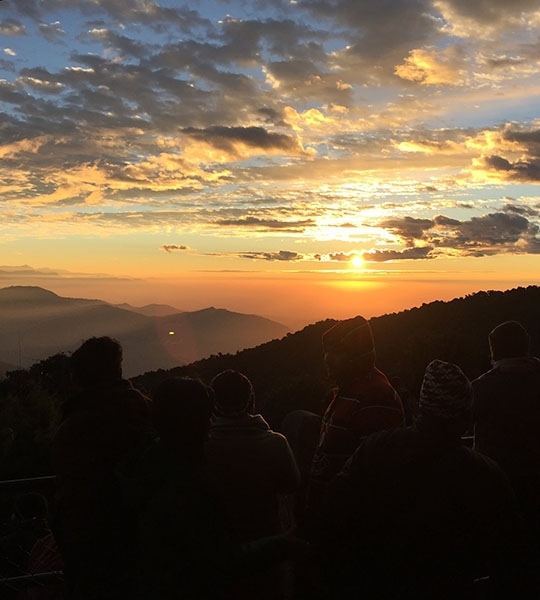 It's all about magnificent views of snowcapped Kanchenjunga, torrents flowing down the mountain slopes, lovely tea gardens, landscapes with firs, pines & ferns, and all that combined with friendly people and modern yet colonial charm. 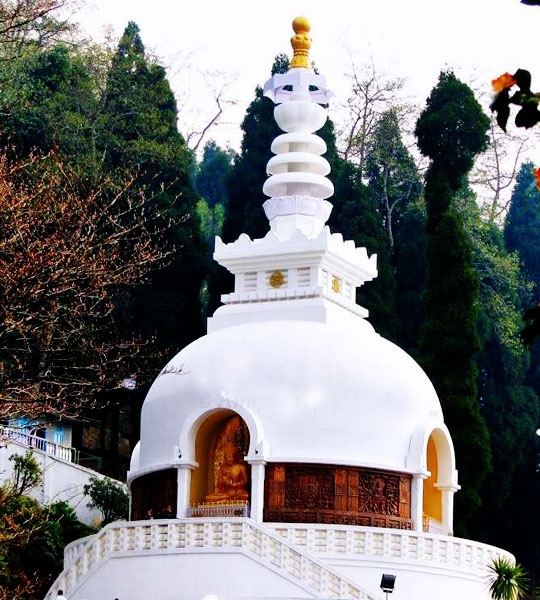 You can find about 4,000 different types of flowering plants in Darjeeling district including rhododendrons, orchids, magnolia etc, there are some 300 types of ferns including the rare fern trees. By Train : The nearest Airport from Darjeeling is Bagdogra Airport (IXB) approximately 100 kilometers and 2 ? - 3 Hours drive. Bagdogra airport is served by regular flights of Indian Airlines, Spice Jet, Kingfisher and Jet Airways from Kolkata, Guwahati and Delhi. The airport is well connected by road to all the tourist destinations of the region including Bhutan & Nepal. By Air : There is the World Heritage railway station at Darjeeling town. Darjeeling toy train has a narrow gauge railway plying from New Jalpaiguri (NJP) to Darjeeling on regular basis. The nearest major railway station New Jalpaiguri (NJP) is approximately 100 kilometers away which is connected with major railway stations of India like Chennai, Guwahati, Delhi, Kolkata, Patna and Mumbai etc. There is a daily train from New Jalpaiguri to Darjeeling station via Sukhna, Kurseong, Tung, Sonada and Ghoom. By Road : The main rod to Darjeeling branches off from National Highway number 31 and called the National Highway number 55. It is a distance of 90 kilometers from Siliguri. It is approximately 100 kilometers from Bagdogra Airport (IXB) and New Jalpaiguri station (NJP). Darjeeling is well connected with Siliguri with four alternate routes or roads. Darjeeling has roads towards Kalimpong, Mirik, Pelling and all other tourist destinations nearby. 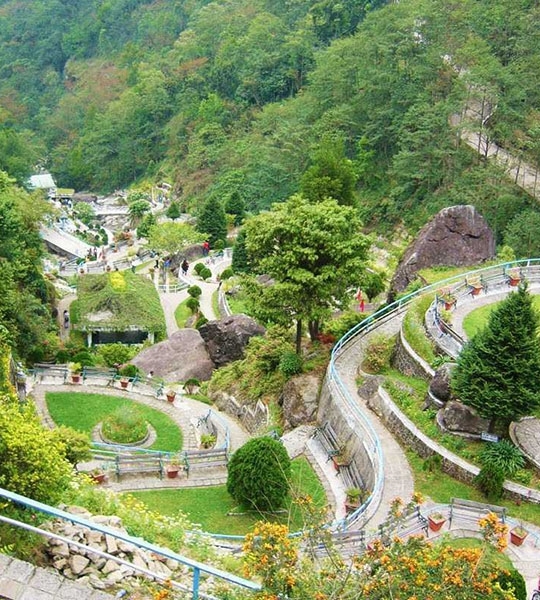 Located around 5 km from Darjeeling, Batasia loop is a spiral railway track where the toy train takes a complete 360 degree turn. The toy train descends by 1,000 ft. as it completes the loop through a large circular area. 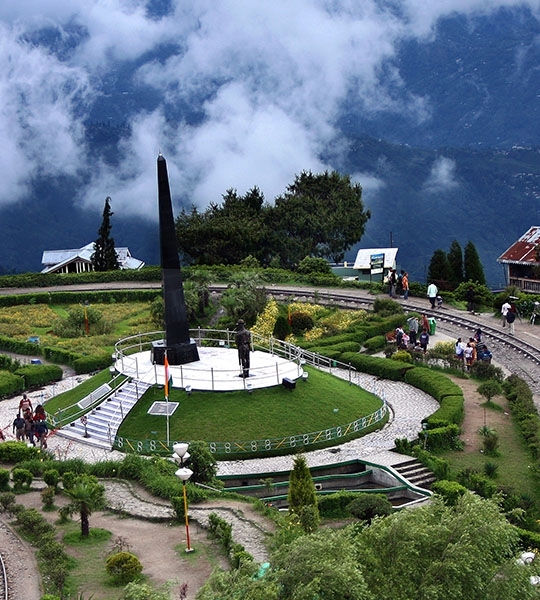 One of the prime highlights of Darjeeling, Tiger Hill is placed above the Ghoom, the highest railway station of Darjeeling. Settled at an altitude up to 8,500 ft, this hill is around 11 km away from the city center.